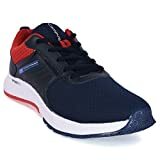 Best Campus Shoes in India – Campus Shoes Price List 2019 - Top 10 In India - Only The Best of everything! LATEST product list, updates regularly! Find the best Campus shoes on this page, and also a price list of different categories of campus shoes. Have a look at the best selling Campus shoes in Idnia below, and if you want a better idea of how much Campus shoes cost, scroll down the page and get to the section on the Campus shoes price list. There you will find enough information to get a clear idea of what range of prices Campus shoes have online. You should get a very good price online and also save the cost and effort of going to a market looking for a show store. And don't forget the easy returns and refund policy of Amazon which lets you to return a shoe if it doesn't fit or is not up to your expectations, very easily. From jogging to walking, shoes are a precious and important part of our life. In India especially, Campus shoes have always been very popular for their quality and credibility. Being one of the largest footwear manufacturers, Campus is a part of one of India's leading business conglomerates called Action group which has its headquarters in Delhi. Established in 1983, Campus is a renowned shoe brand in India that has 25 sub-brands under its wing and is regularly ranked amongst the top ten shoe brands in India. Campus manufactures shoes for different purposes that include jogging, walking, high-intensity workout, rough usage, etc. Thus, it is very important for you to realize that every shoe has its own unique capability and no two shoes can be same. So, at first, decide that what purpose of yours do you want your new Campus shoes to fulfill. Always remember that if your purpose of buying new campus shoes is running and you end buying one that is suitable for walking, then it would turn out to be a complete disaster. When it comes to shoes, Indian public generally refrains from buying them through online shopping portal however convenient it may be. The basic reason behind this is the size of the shoe. On online shopping portals, there are many confusing options like Size 7, Size 7.5 or size 7 (UK) which leaves the customer in a situation where he doesn't know what to buy. Thus, it is always better to visit a shop to physically try different options of Campus shoes and see to it that the one you are buying perfectly fits your feet. Because however costly or cheap your shoe may be, if it does not fit on your feet, it is of no use. When it comes to shoes, people generally have this belief that a shoe that is very costly is one that is of great quality. The thing that needs to be taken care of is that if you really want to go a costly shoe, it is better to first compare it with some of the cheaper ones. This way, you would be able to know that the extra bucks you are spending are worth or not. Although we tend to talk about the quality and credibility of a shoe, the reality is that we always end up buying one whose design, color and looks impress us the most. It is always good to wear shoes that look good on your feet but then we should never consider it as the primary parameter while buying our Campus shoes. From jogging to walking, shoes are a precious and important part of our life. Human beings have always been fascinated by shoes since ages. From looking good to feeling comfortable, shoes have played a great role in our life and even today continues to do so. With the changing time, shoes have undergone a lot of changes to accommodate evolving human activities that include running, walking, playing, and so on and so forth. 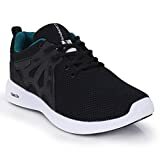 Even for a single activity like running, thee are different brands offering different kinds of shoes that are made to make your running sessions more effective and comfortable. While many brands have today established themselves as the first choice of consumers, there is one brand in India that has never lost its sheen and neither its value in the heart of its consumers and that brand is none other than 'Campus' shoes. Campus made its foray into India in the year 1989 as a wing of the Action Group that manufactures shoes. From the beginning itself, Campus had made a special place in the heart and mind of the youth and even is considered above all by the young & energetic people. The best thing about the shoes from the house of Campus is their casual looks and lightweight which makes them very comfortable to wear and easy to handle. We all know that a brand like 'Campus' has always fulfilled the expectations of its consumers through the kind of high-quality and comfortable shoes that it has offered and that too every time. The brand value of Campus today stands at a point that cannot be shaken even by heavyweights like Nike, Puma, Reebok, etc. This is basically because of the fact that the shoes from Campus have their own identity and benefits when it comes to satisfying the expectations of its consumers. So here we are mentioning a few benefits that one gets by choosing Campus shoes above everything else. There can be no doubt about the credibility of a brand that has retained its top position for 28 years. This is due to the fact that Campus shoes have always been known for their quality and comfort. Moreover, the dynamic approach of this shoe brand has paid a lot of dividends when it comes to competing against other prominent shoe brands. Thus, a pair of shoes from Campus will never fail your expectations. The best thing about Campus is that it offers high-quality and comfortable shoes at a very affordable price. If we browse through the list of Campus shoes in any of the online shopping portals we will realize that the shoes of Campus are truly for masses of this country belonging to every category. Unlike other big shoe brands that are limited to a certain section of consumers, Campus manufactures shoes for men, women, and kids too. Even in terms of activity or fulfillment of purpose, the portfolio of Campus is very diverse that includes shoes for running, gym training, lifestyle, and casual. Campus uses state-of-the-art technology and latest processes like Anti–Skid & Phylon soles for cushion & shock absorption to manufacture its shoes. This has gone a long in making Campus a contemporary shoe brand and placing it in high regards in heart and minds of young people. A brand that has been the favorite of millions of people since 28 years, can never be doubted when it comes to providing quality after-sales service. The level of stress in today's era, especially in the urban areas, has reached a great level. Daily work life has become so tiring that people have started to discover its psychological effect in their life. This has ultimately led to a point where individuals have found the need to take medications or seek professional help. But there are some who feel that running or jogging in the morning is another way to fight their stress level and enhance their capability. Now when it comes to running, there are two things that matter the most which include comfort and support that a pair of shoes provides while you are running on a jogging track or a treadmill. Campus shoes are known for the kind of quality and assistance that it provides to boost the overall process of running and reaping its benefits. It is not just today that the youth or the middle-aged men or women find gyming a fascinating thing. The passion for gym amongst people of all ages have been there for decades. But after Bollywood or Hindi film industry made 6 packs and big muscles a mainstream thing, gyming has become more important and necessary than ever. Campus has a range of high-quality shoes for people who love to go to a gym. The best thing about the Campus' shoes for the gym is that they are meant for varied activities like cardio, resistance training, and weight training. We all love to play games like football or cricket. After all, they give us the much needed mental boost to feel good and remain fit. The shoes matter a lot when it comes to playing games like football, especially when the conditions are damp and slippery as it can lead muscle tear and sprain. Campus offers a great collection of performance shoes for games like football and cricket. The best thing about these shoes is their light weight and durability. With the Agility Touch Skin upper that syncs perfectly with your feet the moment you experience any slip, these zeroes come with the ability to face no wear and tear. Moreover, with Snug-fit mono-tongue construction, it keeps out turf material and allows you to move with unmatched speed and agility. Gone are the days when looking good and smart was only about wearing formal shoes. In today's era, there are many shoes that give you the look and feel of a smart and confident person while you are working in your office or taking a walk with your friends. Campus' range of lifestyle shoes lets you wear them even in the office or in a party without disturbing your personality or confidence. From looking funky to stylish, these lifestyle shoes will allow you to don a new look every day by enhancing the appeal of your casual or professional dress. In India, men of all ages expect their shoes to provide them with a variety of benefits. From feeling comfortable to looking good, every Indian man seeks something special from his shoes. Campus makes a variety of shoes for men of all with a range of hi-tech features that not only provides comfort but also style. The definition of Indian women have changed over the years. Someone whose presence was just limited to a kitchen and within four walls have today gone on to do many things not only for themselves but also for their family and country. Today, every woman has her own wishes and expectations for which she is ready to step outside and achieve them. since the time it has forayed into the Indian market, Campus has always focused on bringing out the best shoes for women that allows them to feel comfortable and stylish every moment. From the high-level professional world to high-intensity workouts, Campus has every kind of shoe to help women achieve her targets at every stage of her life. Gone are the days when a kid would be exposed to only two kinds of shoes; school shoes or PT shoes. In today's era, every parent is serious about letting her child go out and involve in extra-curricular activities from a very tender age. In fact, the current generation of parents have become very sensitive towards issues like obesity or weakness in their child and thus seeks to teach their children healthy habits that include running or playing sports. When it comes to playing sports, we must realize that children are too naive to understand the danger of muscle tear or sprain. Thus, they need shoes that does half the job for them by being comfortable and adaptable enough to any condition or any sport. Campus has a range of shoes for kids that are very stylishly made and come with hi-tech technology that provides total safety and comfort to kids while they are busy playing sports or running. Apart from sports shoes, Campus also has a collection of casual shoes for kids that are very stylish and colourful thereby making your child feel good about himself. It is not an unknown fact that every pair of shoes that we use requires a lot of care in spite of its good quality. The care is not just limited to washing it every week or cleaning it after coming from outside. There are a lot of things that we can do to increase or enhance the durability and usability of our shoes. Campus has always been known to bring out shoes that are high in quality and which needs a little bit of care and nothing else to maintain its shine. But it is not just the outer body or texture that we should consider when it comes to taking care of our Campus shoes. We must realize that every shoe needs a different kind of caring according to its functionality or purpose. A sports shoe will definitely need a lot more of attention to remain in perfect condition for a longer period of time. So, here are a few tips that you should keep in mind to enhance the longevity of your Campus shoes. We all know that shoes of any kind are washable that needs to be washed from time to time. More than just shining them up, we should also focus on how we are washing. It is advisable to use cold water or mildly warm water to wash your Campus shoes as hot water can actually go on to damage your shoes. Moreover, always use a soft scrubber with quality bristles so that it only cleans the dirt and does not affect the body of your shoes. Never use any kind of detergent that has strong chemicals as it can lead to fading of the colour of your and render them useless much before time. It is a nice habit to clean your shoes every day after you reach home from your office or some activity as it helps them to maintain their shine. Leaving your shoes unclean for multiple can affect their colour and quality. Moreover, cleaning your shoes after many days might seem to be a more laborious task. Always use a dry and soft cloth to clean your shoes so as to keep them in good condition. This is that one mistake that almost every Indian men somehow commit and that too on a regular basis. The moment we reach home after a laborious and tiring day, we generally prefer to directly free our feet of our shoes without even untying its laces. There are many reasons for this out which laziness and being in a hurry the next morning are the main ones. We should understand that if we try to put in our shoes when their laces are tied, it is like forcing our feet into them which can actually cause wear and tear on the shoes. Moreover, the sole of the shoes can also face damage due to this. Running a lot and that too on a daily basis can make your shoes wet. Leaving your shoes in wet condition for a longer period of time can lead to fading of colour or damaging of the glue that holds the body of the shoes together. So, it is important to dry your wet shoes immediately and without any delay. But here again, certain mistakes from your side can damage your shoes. Never put your shoes under direct heat or in a radiator as it can dry out the leather, adhesives and other materials in it. Always take out the insoles after loosening the laces and allow them to air dry. You can also use newspaper and crumple to put in the shoes as they will absorb the moisture quite quickly resulting in faster drying of your shoes. Any product in this world of any kind if not stored properly will obviously succumb to bad conditions. The same thing applies to your pair of shoes which requires proper storage preferably in a dry environment as it will ensure proper temperature that is required for your shoes to remain in perfect condition. Never try to store your shoes in a plastic bag or attempt to cover them up completely as it will not let the air pass through them. We all know how painful and avoidable is the dirty smell of socks are. The smell of our socks sometimes become the reason for our embarrassment while at times it becomes a problem for us and our loved ones at home. Faster our lives have become, lesser is the time that we are able to invest in doing even some simple jobs like washing our socks on a daily basis. But in spite of all this, we must keep in mind one thing that wearing unwashed or smelly socks regularly can leave its touch on your shoes making them smelly every day. So whenever you reach your home, immediately put your shoes outside so that the smell of the socks goes out and always wear washed socks with your shoes. Buying the best shoes with best features and the best price sometimes might prove to be very difficult, especially, if one does not have any prior experience or the right information. the problem only gets bigger if the brand has a diverse portfolio of shoes like Campus. Thus, one needs to have thorough knowledge about the kind of shoes he is buying which he can gain through meticulous research. Moreover, if we are buying shoes for a certain purpose, then it becomes all the more important to be careful enough before we ultimately take the final decision. After all, good shoes do cost a bit more than normal and average shoes and thus we should ensure that every penny that we spent to buy a pair of shoes is worth enough and we do not repent later since shoes are not for short-term usage and stay with us for quite a long time. So here we are with the top Campus shoes for men, women, and kids for you to go through the information and take the correct decision. We all know how important it is for our shoes to be of high quality to complement our running and gym sessions. Battle shoes from Campus provides that much-needed boost to our overall running on tracks or treadmills. With an upper material made of Synthetic & Mesh and a Phylon outsole, Battle shoes have the ultimate super-soft insole along with lace material of Nylon. We all love to indulge in adventurous trekking trips. But while we seek the best quality shoes that would enable us to enjoy the activity of trekking, we also expect them to make us look flawlessly stylish even when we are at the most stage of trekking. Trigger shoes from Campus are one of those few shoes made for adventure-loving individuals that come with a unique combination of quality and style. With an upper material made of Synthetic & Mesh and a TRP rubber outsole, Battle shoes have the ultimate super-soft insole along with lace material of Nylon. Anything that lets you flash your cool personality while vehemently enhancing it is bound to become an all-time favorite of yours. Flash shoes from Campus enables you to look stylish and smart while adding a funky element to your attire. With an upper material made of Synthetic Leather and a Rubber & Phylon outsole, Battle shoes have the ultimate super-soft insole along with lace material of Nylon. How about having explosive agility while you are playing football even in unfavorable conditions? Then go ahead and get Powerstike shoes from Campus without even thinking twice. Being light in weight, these long-lasting shoes made exclusively for passionate footballers. Having Agility Touch Skin upper, these shoes syncs perfectly with your feet the moment you experience any slip and has the ability to face no wear and tear. Moreover, with Snug-fit mono-tongue construction, it keeps out turf material and allows you to move with unmatched speed and agility. For a pair of running shoes to be your most perfect companion even in difficult situations, its functionality should be flawless. Milford shoes from the house of Campus are one of those rare sophisticated shoes that come with great functionality. With a finish having synthetic lining and rubber sole, these shoes have excellent comfort and motion balance. Moreover, with capping on toe and heel along with panel stripes on sides for extra support, these shoes have a synthetic leather upper that is constructed of mesh, ensuring excellent breathability to keep your feet dry. The passion for fitness in Indian women has taken a new turn in the 21st century. Every woman of India, especially, in the urban areas, have become very sincere about how they look and hits a gym or a jogging track whenever they find time out of their busy schedule. When it comes running or even jogging for a woman, shoes play a great role in securing her when there can be chances of unavoidable accidents. Pluto shoes for women from Campus provides a great deal of comfort to a woman's feet while she is running or jogging. With an upper material made of Synthetic & mesh and a TPU outsole, Pluto shoes have the ultimate super-soft insole along with lace material of Nylon. Every woman loves to look funky even when she is in her utmost casual outfit. Looking funky is an art in today's as it requires a lot of effort and style. Janet shoes for women from Campus is the ultimate to look effortlessly cool and funky. With an upper material made of fabric and a rubber outsole, Janet shoes have the ultimate super-soft insole. Another pair of shoes from Campus to make you look cool and funky but with a difference that goes by the name of Luna. In our day-to-day busy schedule, youngsters find it really very difficult to don a new look every day. With Luna shoes from Campus, now every young woman can see herself transforming into a new self even when she is in her casual clothes. With an upper material made of mesh and a Phylon outsole, Pluto shoes have the ultimate super-soft insole along with lace material of Nylon. The meaning of looking good for kids, have changed over the years. Every kid of the 21st century has greater expectations from his things. Jupitar shoes from Campus has a unique combination of style, comfort, and quality that will let your kid look trendy and stylish in no time. With an upper material made of Breathable Mesh and a Rubber & Phylon outsole, Jupitar shoes for kids have the ultimate super-soft insole along with lace material of Nylon. The children of today are quite different from those of the past generations. This is due to the advent of digital technology and availability of mobile phones and social media. There was a point in time when school shoes were meant to make every kid look more like a student than anything else. factors like comfort or functionality were of the school shoes were never considered. But with changing times the definition of school shoes have also changed. 'Perform' shoes from Campus are one of those unique school shoes that give more comfort to your kid's feet while he is doing any activity in his school. With an upper material made of Synthetic and a Rubberized EVA outsole, 'Perform' shoes for kids have the ultimate super-soft insole along with lace material of Nylon. Now go ahead and choose a good pair of Campus shoes!